A delightful collectable celebrating everyone's favourite bear, Paddington. 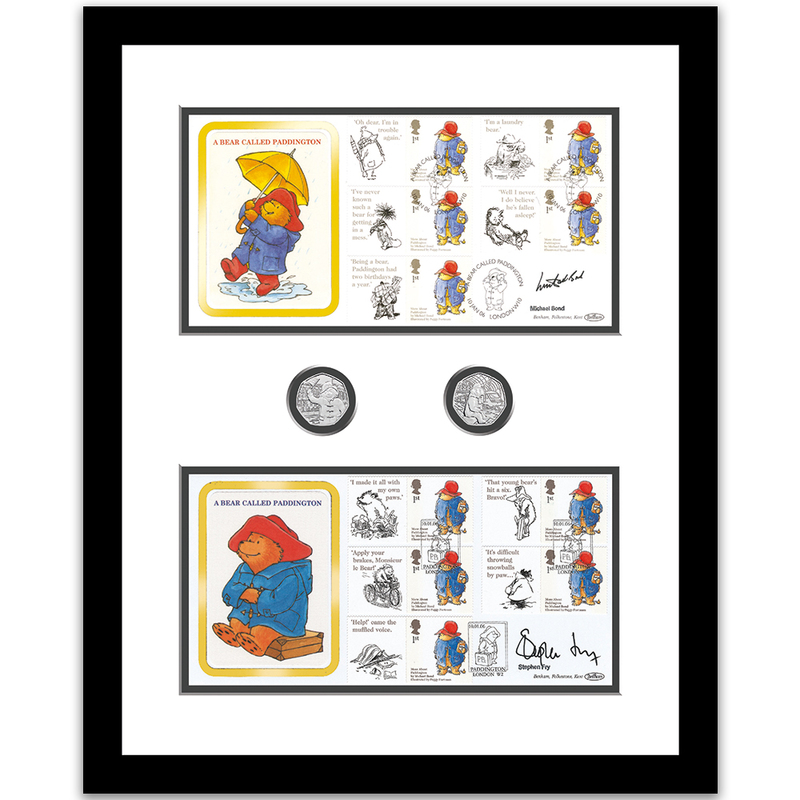 Two covers from 2006 which are signed by the creator Michael Bond and Stephen Fry, who narrated the audiobooks, are mounted with the two new Royal Mint 2018 50p coins celebrating the 60th anniversary. Framed size 330mm x 410mm.